This probably isn't the way Thomas Gibson wanted to ring in the New Year. 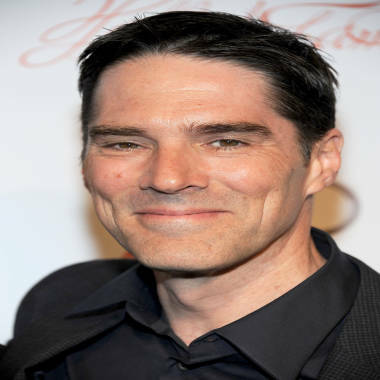 The 50-year-old "Criminal Minds" star was busted early Sunday morning on suspicion of DUI, E! News has confirmed. Gibson was arrested at 1:05 a.m. by the Los Angeles Police Department Central Traffic Division and booked. Gibson, also known for his starring role in "Dharma & Greg," was in downtown Los Angeles when he drove through a barricade set to keep cars off the course of an overnight half-marathon. The actor was initially stopped for trying to drive through the closed area, when police allegedly smelled alcohol on his breath, and pulled Gibson over and took him into custody after he reportedly refused to take a Breathalyzer test. Gibson made a $15,000 bail and was released at 1:30 p.m. Sunday.